Drones are sometimes used for bombing. They’re also used for taking pictures and videos. The drone-facilitated video below is of the city of Homs, Syria, in 2016. 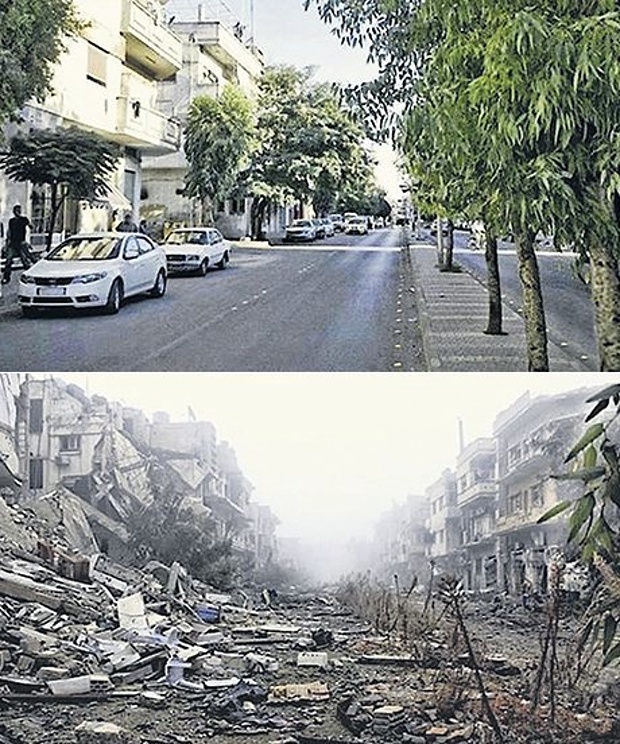 Prior to the Syrian war, Homs was a major industrial centre with a population of about 650,000 in 2004. It was the third largest city in Syria after Aleppo to the north and the capital Damascus to the south. Its population reflected Syria’s religious diversity, comprising mostly Arabic-speaking Sunni Muslims and Alawite and Christian minorities. There were a number of historic mosques and churches in the city, which it is close to the Krak des Chevaliers castle, a world heritage site. See before and more “after” pictures here.